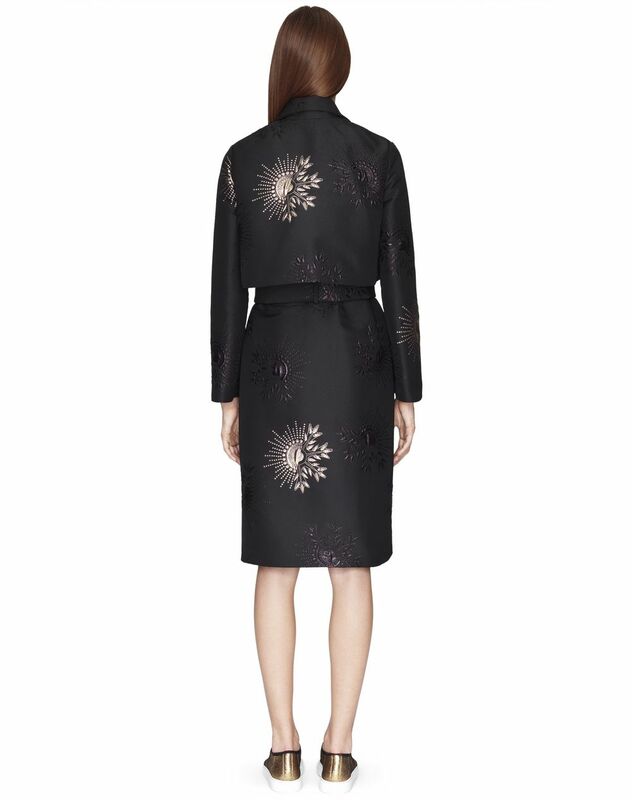 Long black jacquard trench coat, "Soleil" embroidered motifs in metallic gold lurex, long sleeves, tailored collar, side patch pockets, and adjustable belt at the waist. The End Of Year Capsule Collection by Lanvin features unique pieces enhanced with exquisite "Soleil" jacquard motifs inspired by the brand’s archives. 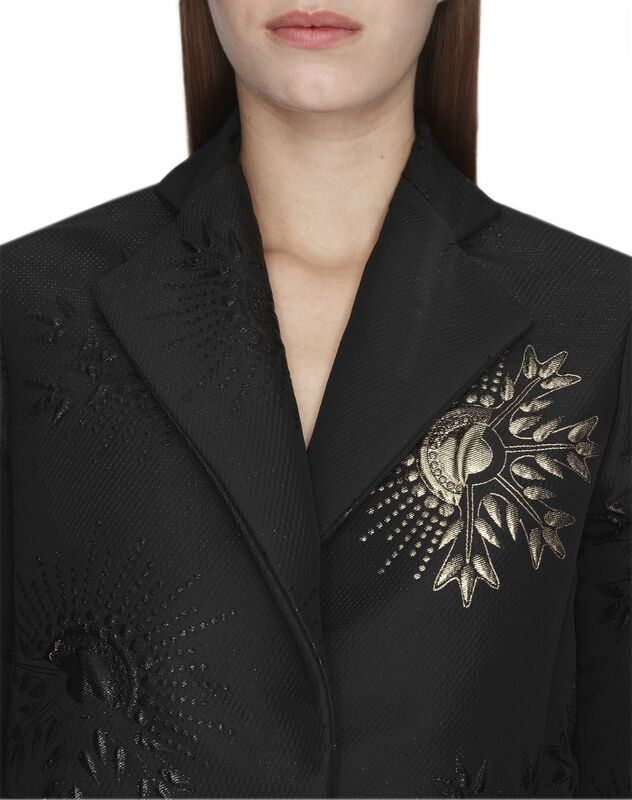 This long black coat stands out for its tailored fit and the craftsmanship of the "Soleil" motif in metallic gold and black lurex, which brightens up this piece and adds refinement. Main material: 70% polyester weave, 22% acetate weave, 8% metallic fiber weave. Model's measurements: Height: 5’ 10” Chest: 33” Waist: 23.2” Hips: 34.6” Model wears a size 4. Made in France.